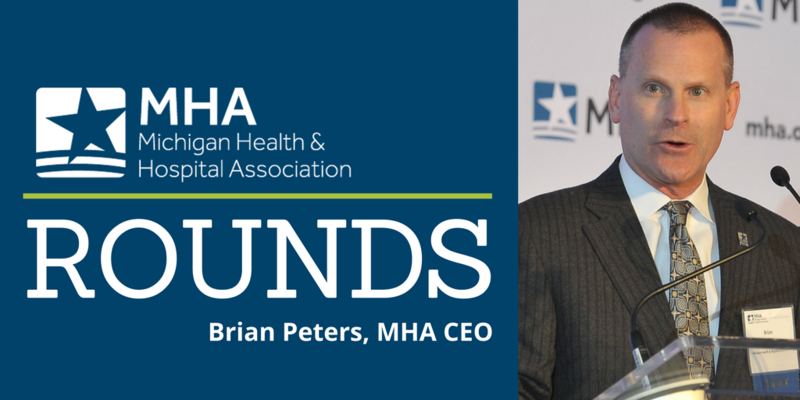 MHA CEO Brian Peters shares his five key takeaways from a Modern Healthcare leadership summit that he recently attended in his April CEO Report. The Simulation: Great Lakes Partners for Patients Hospital Improvement Innovation Network Caring for the Critically Ill Patient will take place from 8 a.m. to 5 p.m. Wednesday at the Western Michigan University Homer Stryker M.D. School of Medicine, Kalamazoo. The MHA Keystone Center Patient Safety Organization (PSO) Pediatric Safe Table will take place from 12:30 to 3 p.m. Thursday at MHA headquarters, Okemos. The MHA Service Corporation Board of Directors will hold its Annual Board Meeting from 2 to 4 p.m. June 26 at the Grand Hotel, Mackinac Island. Read recent coverage about the MHA, including Detroit Free Press report on measles outbreak in Michigan and an Oakland Press opinion piece from MHA CEO Brian Peters on the importance of protecting the Affordable Care Act (ACA) and the consequences a Medicare for All system could hold for patients.